A never-ending source of delight. The ever abundant namesake of Joshua Tree National Park. 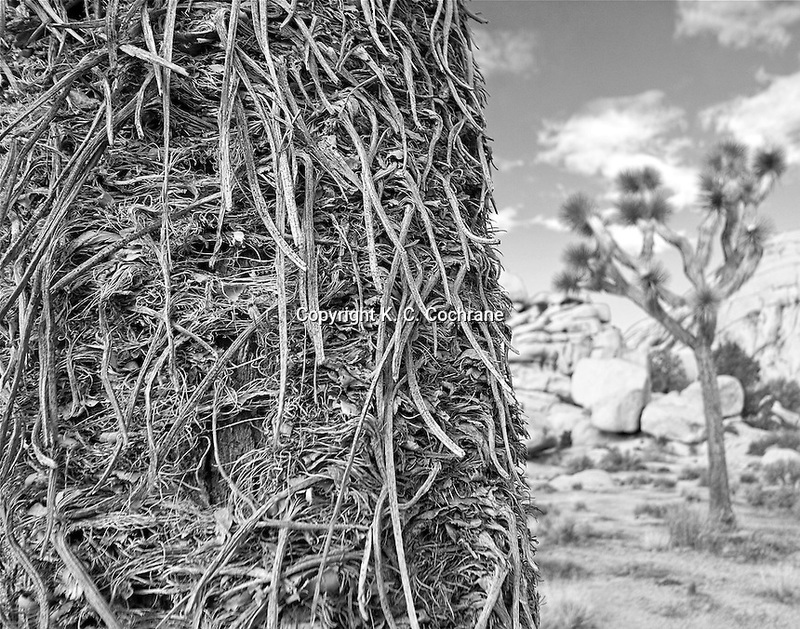 This high-contrast detail depicts the ever changing fringed bark as the Joshua Tree goes thru its life cycle. Each tree is unique and different in a very special way. Black & White Archival Pigment Print, 11" tall x 14" wide. Matted with included BLACK mat. First Edition print is currently hanging at JTAG (Joshua Tree Art Gallery) in Joshua Tree, CA. Joshua Tree, Joshua Tree National Park, Joshua Tree Art Gallery, Desert, Desert Landscapes, JTAG, Kim C. Cochrane.